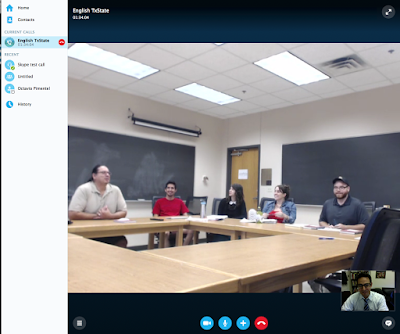 On Monday, I had a great time skyping in with Octavio Pimentel's grad students in the MA program in Rhetoric and Composition at Texas State University. Dr. Pimentel's graduate course is on cultural and linguistic diversity within the classroom, and his students brought up interesting concerns regarding choices of language in writing and how students are framed by deficiency rhetoric. 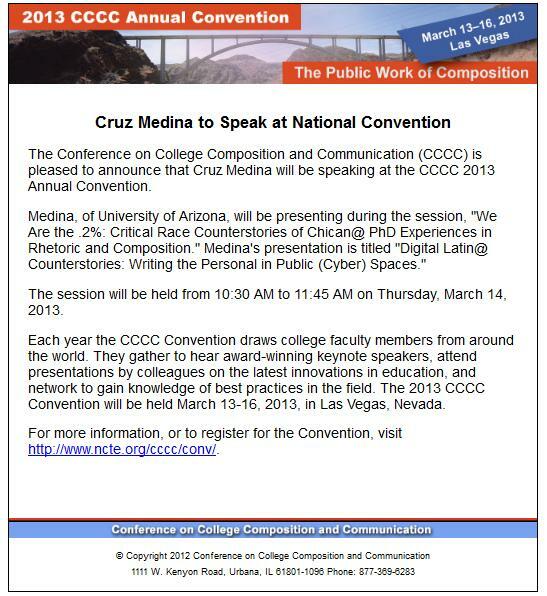 I spoke with them about my book Reclaiming Poch@ Pop, and we discussed how public discourse and memory about highly politicized topics can be addressed in the analysis of engaging pop culture such as political satire that engage the relevant issue. 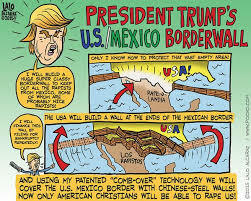 Of course, Donald Trump came up as the exigency of this moment of kairos, and I included some images by Lalo Alcaraz that respond to the slanderous depiction of Latin@s, specifically Mexicans, in his public speeches.